and would recommend to you if we were out shopping. Mise en scene has been my go to hair serum for many years now. They have a few serum options but I keep going back to the Original Perfect Serum because it's just works better for my hair without being greasy. 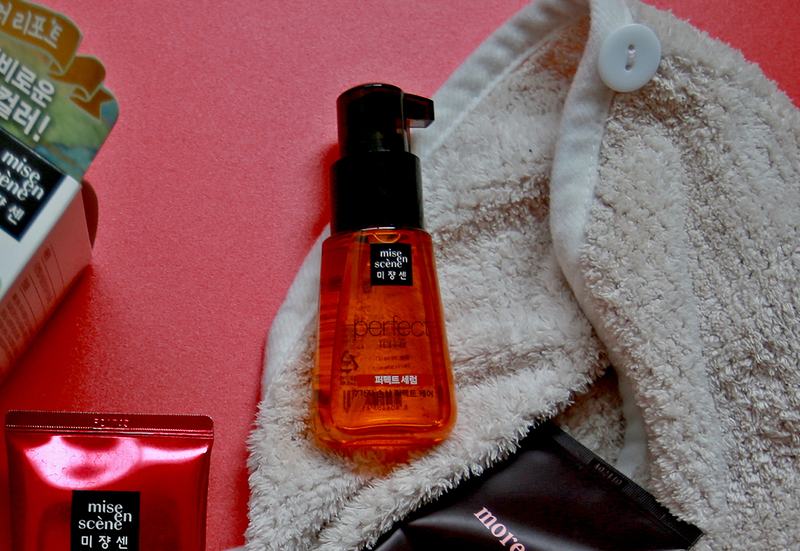 I usually apply 4 pumps at the ends of my hair (after washing and drying my hair) and it gives an instant coat of glow. The serum has a fresh floral scent which is generally pleasing. Moremo is a brand that I got to know via Facebook ads- the video they posted was so convincing, I bought one right away! Happy to announce that I could see a great difference even after the first use! As I could really see the difference in terms of the glow and smoothness it gives- as if I got the treatment done in a regular salon! I usually use it once a week after shampooing as a conditioner substitute and have it on for about 5-10 minutes but you can certainly use it even more if you are patient enough to wait it out in the bathroom. we were looking for something to treat our dandruff. We have been changing and trying various shampoos to calm the annoying white snow but to no avail until we tried this! 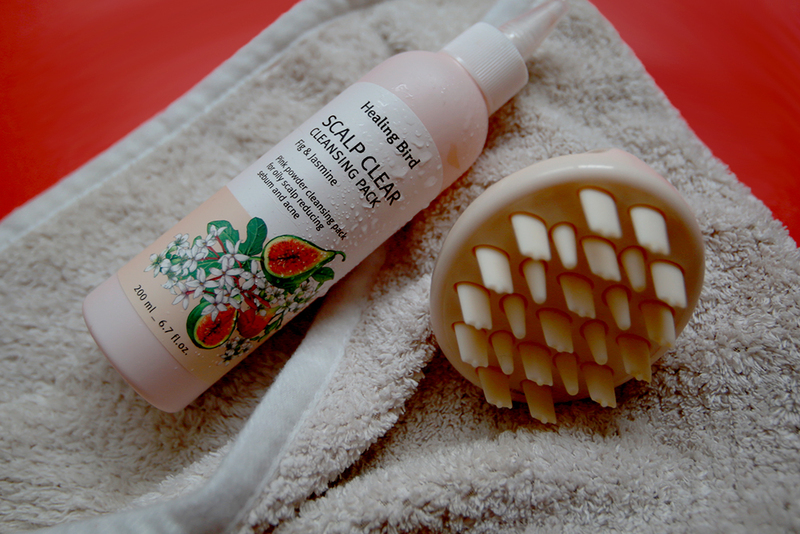 This baby right here is a "scalp care" and we use this once a week on it's own without the need of additional shampoo. This cleansing pack foams up pretty well as you work around your scalp area with your fingers or by using the comb given. Do give this a try if you have a case with dandruff! Hello Bubble Color dye are the easiest to work it and I've been having this color 7K for about a year now! My hair has been chemically treated all these while, so I didn't need to bleach my hair for the green to show. Here's the link to my step by step insta post on how I dye my hair if you missed it and because I've been getting compliments on this colour- i'll probably stick to it for awhile more...even though it doesn't cover the white hairs that are showing. So, because I'm not using colour shampoo for my hair- the ash green will eventually fade into a brown and it will start being slightly yellow before I grab another box and dye all over again. It's quick and inexpensive. Love it! I'm pretty new to having long hair and I didn't know how dry it would get during winter and how hot showers can further dry and damage the hair. Regular conditioner doesn't work for me anymore and I've been purchasing these treatment tubes to use it as my daily hair conditioner. 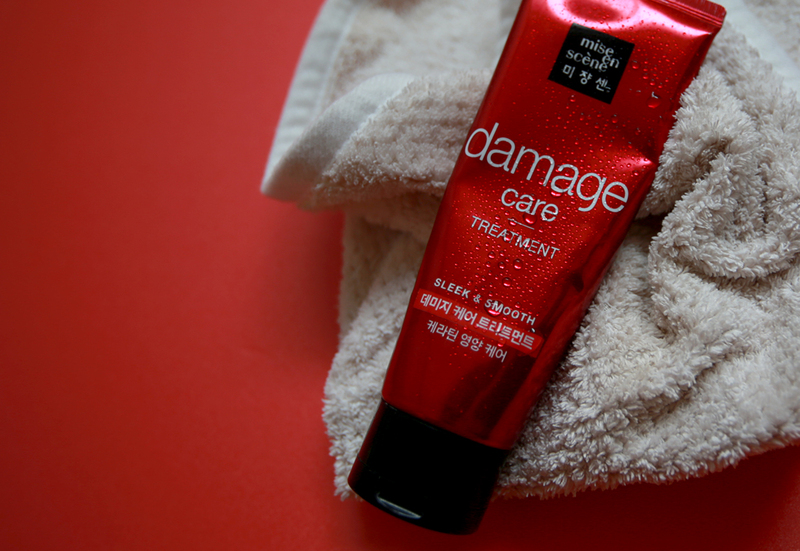 This mise en scene Damage Care Treatment are much cheaper than Moremo hence I could justify using it regularly. Hahaha but yes, Moremo is certainly a little more potent and that's the separation.